I am sure that many individuals wonder if the professionals who offer them guidance concerning health, performance, nutrition, injury prevention, etc actually follow the principles they prescribe themselves. And this is for good reason (just thinking about the doctor who tells you that you need to shed a few pounds but are themselves overweight). 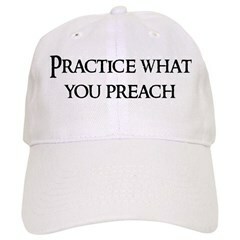 Simply put, if you actually look the part and practice what you preach, you hold more credibility as individuals will be more likely to trust your word. As a “fitness” or “health” professional you should consider yourself a walking example of your work…which may be a good or bad thing for some. Recently I attended a business function where I had the opportunity to be put to the test whether or not I actually practice what I preach. 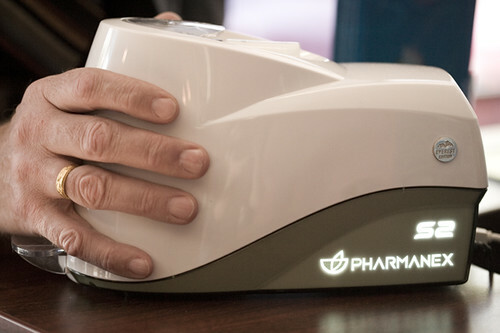 I was able to have my skin carotenoid levels scored via the The Pharmanex Biophotonic Scanner. Carotenoids are an important category of antioxidants. Antioxidants help protect us from free radicals. Free radicals are unstable molecules that we are exposed to everyday, and when left unchecked, can cause a multitude of health concerns. Again, we are exposed to free radicals everyday, but it is when we are overexposed to them that they cause excessive damage to cells which can lead to a detrimental health effect over time. But what exactly causes free radicals to appear? Environmental pollution, improper nutrition, processed foods, high body compositions (excess fat), stress (mental and physical), and more. What can we do to help protect ourselves from free radicals? To protect yourself from free radicals avoid pollution and toxins (smoke as well as 2nd hand smoke, food preservatives, etc), be careful of too much exposure to direct sunlight (some is good for vitamin D levels), utilize proper nutritional practices especially eating a wide variety of fruits and veggies and limiting your intake (and even better, completely eliminating) processed foods and supporting your nutrition with some quality supplements (fish oils, vitamin D, greens, chia seeds). And there it is, do I actually practice what I preach and lead a healthy lifestyle based on proper nutrition, performance training and physical activity? Well, not to toot my own horn (but I will give myself a pat on the back), my score…54,000! So there it is. Simple guidelines I follow to remain healthy, lean and performing at my highest levels possible by limiting my exposure to excessive amounts of free radicals (as well as other benefits). A skin carotenoid scan isn’t necessary but, its pretty cool how all this crazy technology stuff works, and even cooler how it reinforces the principles of healthy, performance promoting living.